If you shot yourself in the head, you would die, right? What if you shot yourself then came back to life just a minute or two later? That’s what happens to Ashton Thorn in Sealed. 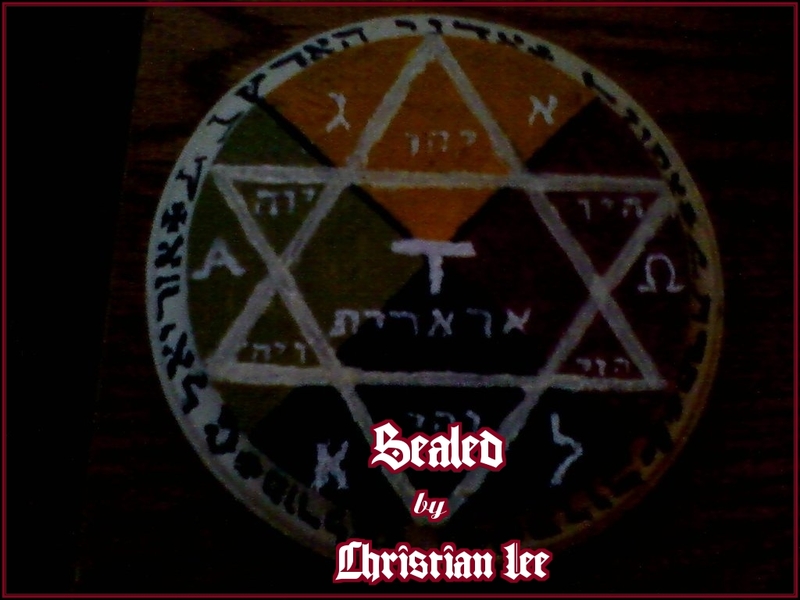 While still lying in the muck that resulted from shooting himself, Ashton learns from his grandfather, who seems at that time to be a crazy old fart, that he was resurrected from the dead by the Blood of Jesus Christ and that his suicide has made it possible for the Seal of Solomon, which is stored in his house, to be stolen by Christendom’s greatest enemies, demons and their immortal servants. It is claimed by Ashton’s grandfather that the Seal of Solomon is not only the symbol today known as the Star of David but also a ring given to the Great King Solomon by God that gave him his eminent wisdom and occult powers over all demons, which he used to construct the First Temple. When Ashton receives from his grandfather extraordinary proof that he is not John Thorn but Saint John the Divine, the author of the Gospel According to Saint John, the Three Epistles of Saint John, and the Book of the Revelation to Saint John, and is introduced to other saints like Paul, Thomas, Longinus, Veronica, and even Mary, Our Madonna, he begins to believe. All of Ashton’s doubt is washed away when a large mob of demons and their immortal servants begins to close in on his grandfather’s mansion with the intent of stealing the Seal of Solomon. For what will they use it? When the ring is successfully stolen by the mob, the answer is revealed to Ashton. The Seal of Solomon is the key to bringing about the Great Tribulation and with it the almost total destruction of the Church, the height of the Devil’s reign, and ultimately the end of the world as described in the Book of the Revelation to Saint John. Joining with his grandfather, and the other saints, Ashton must get the Seal of Solomon back before the Antichrist, who will usher in the Great Tribulation, can be created with it. As he does so, he and his friends must damage their holy consciences by stealing Icons Made Without Hands like the Shroud of Turin and the Veil of Veronica and even commandeering the Holy House of the Blessed Virgin Mary, in which Our Madonna and Ashton are carried to Istanbul by the Heavenly Host, but eventually they acquire all that they need to save the world. At least they think so until Lucifer, the Devil himself, shows up just as they vanquish all of his minions.